The Hickory & Flatrock Pizza: FREE Jarritos w/ Pizza, BOGO Gordo Burger, & Family Day! Bring the whole family out to The Hickory today! You’ll be glad you did. Get a FREE glass-bottled Jarrito with every pizza purchase! Save $2.29! Try their pulled pork, smoked brisket, pulled chicken, or smoked turkey on a brick oven pizza! Buy one, get one FREE Gordo burger! A 1/2 lb. of fresh, hand-pressed burger piled high with grilled pastrami, fresh garden veggies, and placed between a house baked cheddar topped bun! It’s an explosion of flavor! Save over $10! 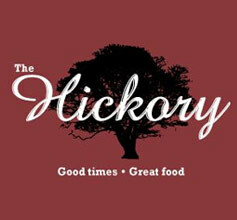 Kids eat FREE today, family day, at The Hickory! Get two FREE kid’s meals with each purchase of one regular priced adult entree (ages 11 & under)! Save over $10 per adult entree! *Offers valid 4/16.